The most freighting way to keep connected with you audience and spread awarenenss is through attractive bottle neckers. 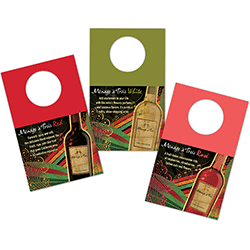 People may call them bottle tags, bottle hangers and bottle neckers but these hangings helps to develop a positive vibe among the public about your brand or organization. Our foremost goal is to deliver the enthralling colored bottle neckers. Our team of experts are proficient in delivering the effective powerhouse for promotion purposes. 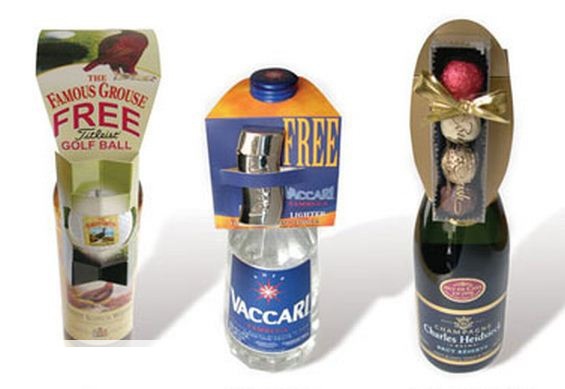 They are reliable and cost effective for your businesses marketing, specially for beverage industry. As we seek satisfaction in customer thus, sometimes our printed bottle neckers have become the identity for the organizations. 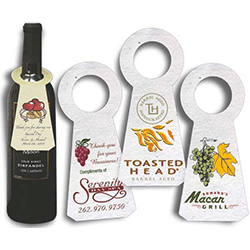 Its time to brand your bottle with spectacular looking bottle tags or neckers. 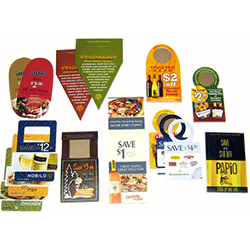 Opt for bottle neckers to be printed from Stickers Printing press with upgraded tools. Call us for queries or visit for on point services.